The Indus and Ganges dolphins live in completely different river systems and never come in to contact with each other. They look broadly similar, in that they are dolphins that are about twometres in length when adults, they are both almost blind, they are brown in colour and have a very long rostrum (snout). But the more research that we do, the more differences we find, and based on genetics and studies on the size and shape of the skull, there are actually quite a few differences between them and so they are something like distant cousins. What is the total number of Indus dolphins in the whole of Pakistan according to the last major survey? When was it done? The last major survey was completed by WWF-Pakistan in 2017. 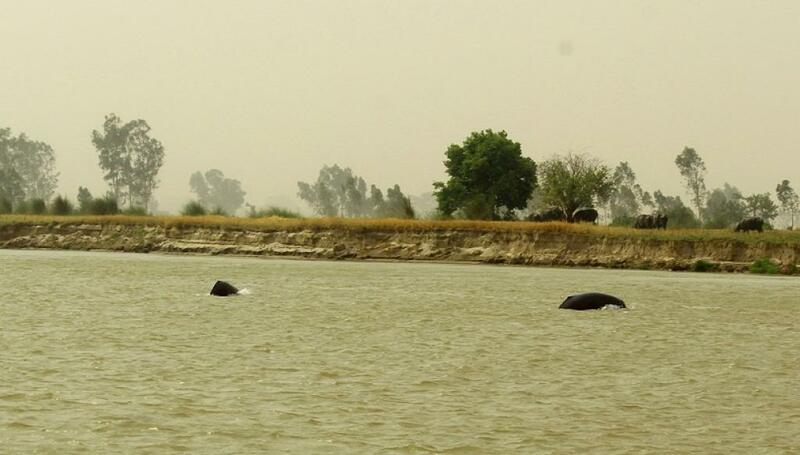 They found dolphins between the Chashma and Kotri barrages and counted 1,816 individuals in 4 different populations separated by irrigation dams. What was the historical range of the Indus dolphin? The Indus dolphin used to range freely throughout 3,500 km of the Indus River system, from the delta in Sindh, up to the foothills of the Himalayas in the Indus, Jhelum, Chenab, Beas, Sutlej and Ravi rivers. When and how did the range of the Indus dolphin become fragmented between five barrages on the Indus–Chashma, Taunsa, Guddu, Sukkur and Kotri? The range of the dolphin has been fragmented since the beginning of the 1900s as numerous irrigation barrages were constructed on the Indus system. The former range of the dolphin was split in to 17 different little sections of river with dolphins trapped between. They have now disappeared from 12 of those sections and remain in only five. This is because of low water in the rivers, pollution and the small distance between barrages. The latest survey done by WWF-Pakistan (in July 2018) has revealed that there are hardly any dolphins left in between the Jinnah and Chashma barrages. Can we now say with certainty that the Indus dolphin has been wiped out in Khyber Pakhtunkhwa and northern Punjab (Pakistan)? Indeed, WWF-Pakistan’s most recent survey showed that dolphins are no longer found between the Jinnah and Chashma barrages, a short stretch of river about 70 km long. In the past, one and two dolphins had been sighted there. However, there is a thriving population of dolphins in Khyber Pakhtunkhwa and in upper Punjab (Chashma to Taunsa barrage section) and the recent survey data indicates that dolphins are increasing in abundance in those areas. This is really positive news. What is the status of the dolphin in southern Punjab and Sindh? Are they now the best bet to saving the animal in Pakistan? The majority of Indus dolphins remain in northern Sindh and southern Punjab, where the populations appear to be increasing in abundance. However, it is important to conserve Indus dolphins throughout their range, not just in these high density areas, because the overall population is still small. What are the main threats facing the Indus dolphin in Pakistan today? The main threats facing the Indus dolphin are rising levels of pollution and fragmentation of the habitat as well as bycatch in fishing gear. How do you see the condition of the Indus dolphin in Pakistan vis-à-vis that in the Beas River in India’s Punjab? The small population of dolphins in the Beas River is incredibly important as it is the only population that is not on the Indus mainstem. It is miraculous that the Beas dolphins have survived there relatively undiscovered for so long, at least 70 years since the completion of the Harike barrage. WWF-India, along with their government partners, is now watching the population closely and doing everything possible to ensure that this small population remains safe. What does the future hold for this animal? The future for the Indus dolphin is uncertain. But it is much more positive than for a large number of other freshwater dolphin species, almost all of which are seriously endangered. The Indus dolphin faces many challenges in terms of habitat fragmentation, pollution, fisheries and low water flows, but conservation efforts in Pakistan have been very effective and since dolphin hunting was banned in the 1970s, dolphin abundance has been steadily rebounding. The numbers are still small, and it is important not to be complacent, however this is incredibly positive news. 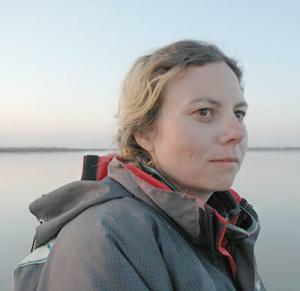 In a world in which wildlife is so threatened the Indus dolphin is a rare good news story.